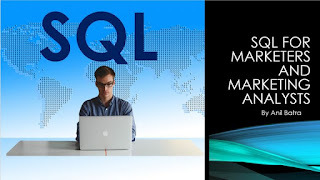 These days SQL is a must have skill for marketers and marketing analysts. Data is everywhere but access to that data is still a challenge. 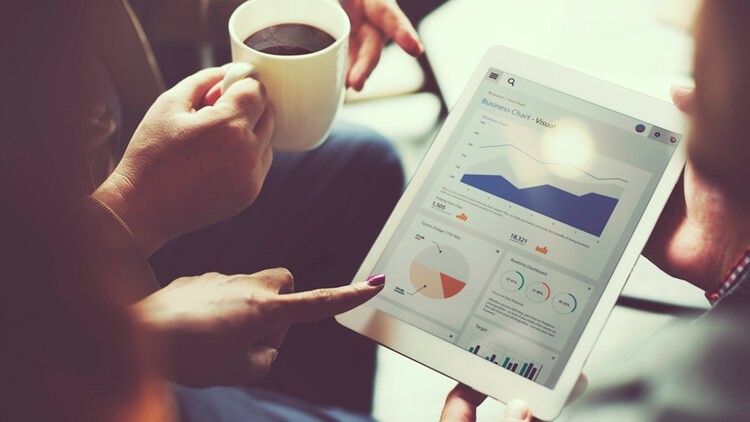 Marketers and Marketing Analysts generally depend on the tools or IT department to help them pull the data for marketing purposes. IT leaves you hanging because they have other priorities as a results Marketing Analysts have to know how to write SQL on their own so that they are not dependent on IT. No SQL means no data and no data means no insights. This course is for those marketers who would like to know how to use SQL to conduct their marketing analysis. If you are trying for a job as a Marketing Analysts then this course is a must for you. This will help your resume shine and put you ahead of other similar candidates. The more you can handle technology and data these days the better it differentiates you from the rest of the pack. The course uses mySQL to show how SQL works but all the leanings and most of the scripts are also applicable to other databases such Microsoft SQL Server and Oracle. You can get this course for only $10, limited quantity at Get SQL course for only $10 (let me know if the coupon is all sold out). Over 1000 students have already taken this course. In addition to these courses, I offer customized training for organizations. Contact me for more details. What is the difference between Segmentation and Personalization? What is the difference between segmentation and personalization? This is the question that came up during one of the webinar on personalization by Optimizely. This blog post is for those who have the same question. 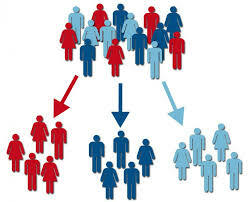 Basic definition of Segmentation is - division into separate parts or sections. For the purpose of marketing, it is a processing of grouping customer and prospects into similar groups based on various criteria such as demographic, geo, behavioral and psychographics. You can use one or more of such attributes to define your segment. The purpose of segmentation is to understand about a group (segment), and develop marketing strategy to better target those segments. Personalization is providing marketing messages and/or experience that is tailored based on a customer’s needs or preferences. Personalization can be very basic that can start from simply recognizing the person by name or it can be very complex that includes all sorts of data about a particular customer combined with device and contextual data (1st party data + 3rd party data). Personalization is the action that you take based on the learning you have about the person (a segment of 1 individual). So segment is a way to understand your customer based while personalization is the action you can take based on that understanding. 2. People who mainly read finance related content, that’s where they spend most of their time. When someone who fall into “Sports” segment comes back to your site, you rearrange the content to highlight latest sports stories so that these visitors can easily discover the content they love. On the other hand, a visitor who falls into “financial” segment will see finance stories highlighted. Now this is not 1:1 personalization but it better than no personalization at all. Hope this clarifies the difference between the two terms. 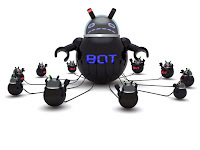 Are Spiders and Bots your customers? An Internet bot, also known as web robot, WWW robot or simply bot, is a software application that runs automated tasks (scripts) over the Internet. Typically, bots perform tasks that are both simple and structurally repetitive, at a much higher rate than would be possible for a human alone. 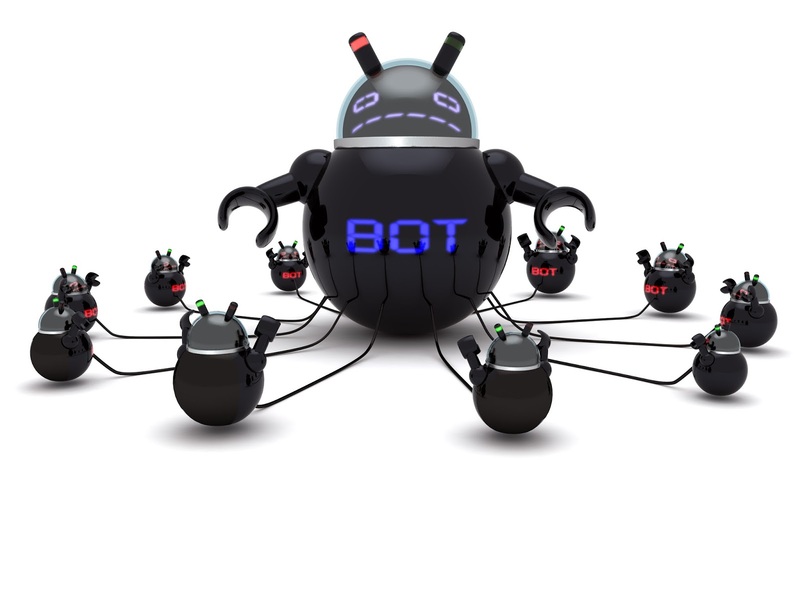 According to a recent survey, on an average about 51.8% of the website visitors are bots. I recently had a conversation with one of the attendees of my Digital Analytics Association (DAA) workshop at Chicago eMetrics. She told me that she gets a report every week from their digital analyst. When asked, Digital Analyst confirmed that the report does not filter out any activity from spiders and bot becuase he does not have time to remove them. She was wondering if she should worry about it and push to remove the bots from report or just accept it. What do you think? Do you think the report she is getting is worth anything? Unless they are selling to spiders and bots, she is not getting an accurate picture of website usage by real customers. Make sure to ask your analytics team if they are removing bots from reporting. If not, then do not accept the reports till they have done cleanup and are paying attention to it on ongoing basis. Struggling to drive conversions? The issue might be with customer experience. After having worked with several brands, big and small, I can assure you that you don't have to make sweeping changes to drive better results. Many times even small changes and little bit process can lead to happy customers and big impacts. In this post I have complied 11 tips that you can use today. If you need help then don't hesitate to reach out to me. Easy to fill forms – How many times have you come across a form field where you don’t remember what the field was about? Many designers/developers use the default text in the form filed as the filed label. Once you tab into that field, the default text is gone and now you can’t figure out what that field was about. That is a very bad design which will likely cause customer frustration and kill conversions. Easy Promotional Code and Discount Code redemption - Promotional Codes also known as Promo Codes, Discount Codes, Coupon Codes, Offer codes etc, are supposed to drive sales, right? However, they can have a reverse action and can actually kill your conversions, if not properly used. In my post “Promotional Codes: Conversion Killers?, I showed one such example where Promo codes can hinder conversions. If you are going to announce a promotional code on your site, in a ad etc. and you know that the customer clicked on the link to arrive to your site then go ahead and automatically apply the relevant promo code don’t make a customer think and take extra steps. Godaddy is a great example of a site the automatically apply any relevant promo codes. Easy to find customer support number - Yes, phone support is expensive but bad customer experience is even more expensive. If you do your cost analysis, you might find that phone support is actually profitable. A phone call provide you an opportunity to hear your customer and convert a dissatisfied customer into a satisfied customers. Make it easy for customers to contact you rather than complain on social media. Connected Channels, Customer Service, Support and Marketing - If I get a marketing material and I call the number listed on that then person picking up the phone on the other end should be able to answer question on that material. I have several experiences where customer support is not in sync with the marketing and customer has to waste his/her time. I talked about one such case of disconnected experience in my blog post titled, Are you Optimizing the Wrong Steps of the Conversion Process? Easy to Find subscription cancellation link - Have you ever tried to cancel a paid App subscription on iPhone? It is pretty bad. I always forget where the link is and have to spend several minutes to look for it. Not a good experience. It might work for iPhone and Apple but likely won’t work for you. If customer wants to cancel a subscription, then go ahead and make it easy for them to find the cancellation button/links. I am not saying you let them go easily, you should have top notch experience, service etc, to make it hard for them cancel but hiding an option to cancel is not the solution. If they can’t find that cancellation link the they are going to leave you bad reviews about you in social media. Use data to figure out how valuable the customer is, understand why he/she is leaving and provide proper personalized offer/incentive for them to stay. Easy to Unsubscribe from emails and other communications – Don’t end up in spam folders because your subscribers can’t find an unsubscribe link in your email. Spam complain will hurt more than the unsubscribes. If you do send relevant messages then unsubscribe should not be a big issue because people only unsubsribe from irrelevant stuff. Follow email best practices, send relevant messages and provide a link to unsubscribe. Ongoing Testing - Customer preferences change, their behavior changes and you site has to change to. The best way to change your site is to keep evolving and always trying to find out what works best for your customers. This is where ongoing testing (A/B testing, MVT testing) helps. Before rolling out a feature, page layout etc., test it and see if your customers like it. If not, then try something else. As Bryan Eisenberg says “Always Be Testing”. Personalized experience I started writing about personalization ever since I started this blog, back in 2006. I wrote extensively about privacy and how marketers should address it to engage in personalization. 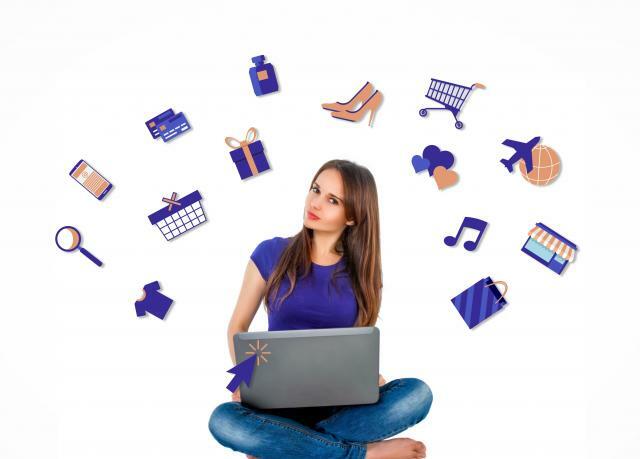 Consumers are now more at ease with online purchases, they have moved past initial privacy concerns of online tracking and now expect personalization. Personalization is no longer optional. Many marketers don't realize that personalization does not have to be complex. You can start simple and build on it. Reach out to me if you need help.